Bhutan, officially the Kingdom of Bhutan, is a landlocked state in South Asia located at the eastern end of the Himalayas. It is bordered to the north by Tibet and to the south, east and west by the Republic of India. The Government has decreed that Gross National Happiness was a priority and Gross National Product was secondary to that. Bhutan has a Constitutional Monarchy. A big part of happiness is a clean, healthy, sustainable environment. 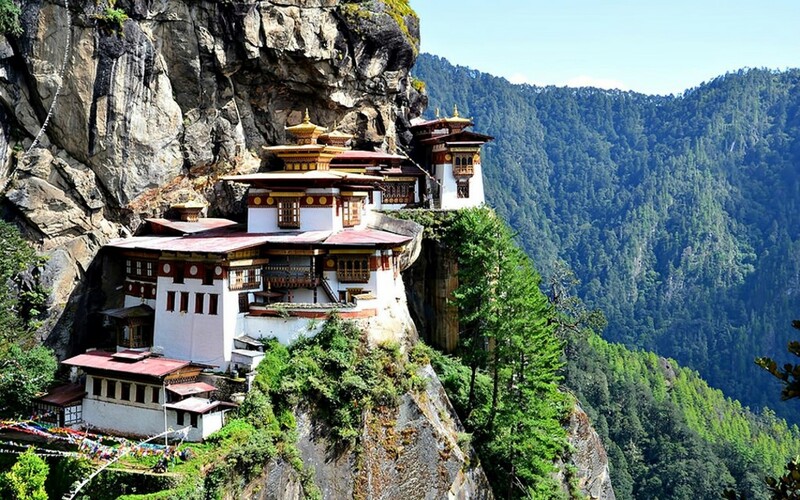 Therefore Bhutan is the only country in the world to have a constitutional obligation to its citizens to protect the natural environment and in their constitution it is decreed that 60% of forest cover will forever remain intact and untouched. 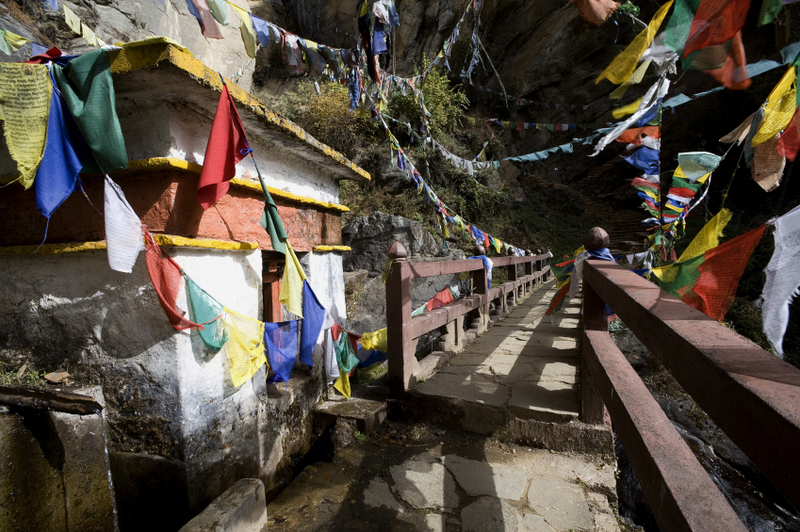 Plastic bags and tobacco are banned in Bhutan. Their mountains are sacred abodes of deities and therefore they are not open to climbing enthusiasts. Television and Internet were introduced by the government in 1999 and …slightly reluctantly! Archery is the national sport, and the current king is an excellent archer. Bhutan has the worlds highest Golf course! The previous king himself is an avid golfer. It is a par 34 course and you can rent clubs at the course. Main revenues are from hydro power and timber, sold to India. There are many different animals in Bhutan, including tigers and elephants. Ema Datsi is the National Dish! We will leave the rest for you to discover for yourself!